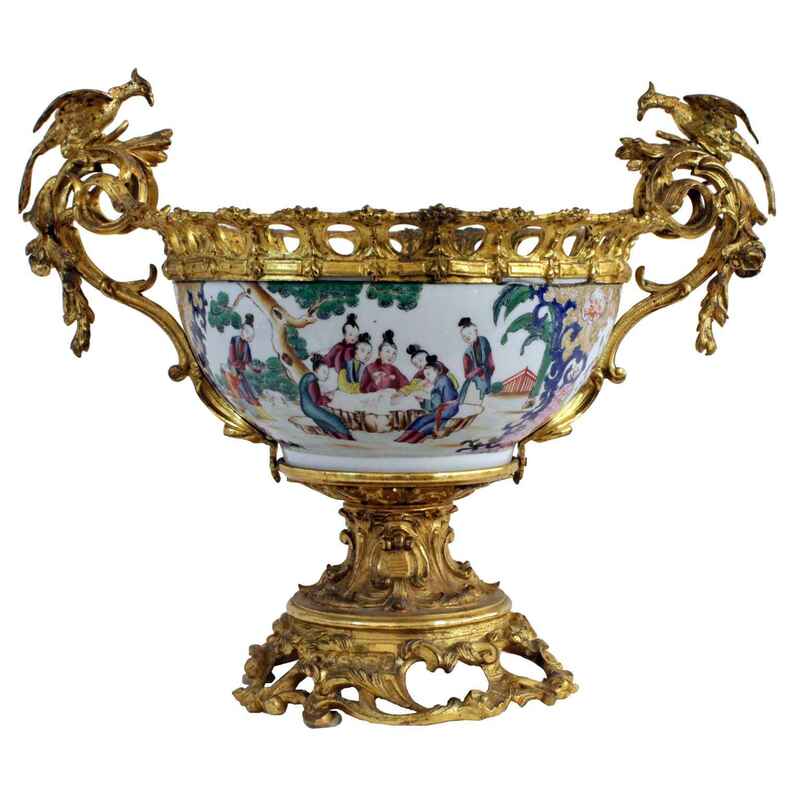 Fine Cantonese centerpiece bowl with French ormolu mounts, Qing Dynasty, mid to late 19th century, handpainted in the famille rose palette with figural narrative panels, its handles cast with mythological birds on scrolling vines and pierced rim, set on Rococo inspired base. CONDITION: Excellent condition. Patina to bronze consistent with age and use. Fine Cantonese centerpiece bowl with French ormolu mounts, Qing Dynasty, mid to late 19th century, handpainted in the famille rose palette with figural narrative panels, its handles cast with mythological birds on scrolling vines and pierced rim, set on Rococo inspired base. CONDITION: Excellent condition. Patina to bronze consistent with age and use.